King Lemuel now turns our attention to advice, given from His mother, to help us understand the preciousness and importance of “virtuous” women. What does “virtuous” mean? This is a term that carries with it the idea of “force” or “influence”. It is translated in the Bible as: “army”, “company”, “force”, “might”, “strength”, “valor”, among others. The main thrust of this term is teaching us that this type of woman is a tremendous force for good in society. Not only does she bring profit to herself and her family, but she is profitable to all those around her. This is why she is described as “virtuous”. 1. There is an abundance of female relatives that perform individual acts that influence others. 2. But it is the virtuous woman who excels over others. One of the great hallmarks of a truly virtuous woman is the performance of beneficial works for her family and those around her AS A WAY OF LIFE. It is this attribute of the virtuous woman that causes her to be exalted above all other women who perform singular acts of kindness towards others. S. A virtuous woman consistently works to benefit those to whom she comes into contact. Both random acts of kindness and physical beauty can be used selfishly to manipulate others. Although they may work in the short term, neither will bring lasting, eternal benefits. But when a woman properly reverences the Lord, and in doing so lives a virtuous life, she shall be honored by men and be the recipient of eternal rewards from the Lord. T. A virtuous woman will receive temporal honor from men and eternal rewards from the Lord for her consistently beneficial works among men. 1. Give back to her in like kind as she has done for you. 2. Allow her works to speak for themselves. In doing so, they will bring honor and respect upon her from those in high position in the community. The Godly woman’s works are proof of her life’s goal…. 3. giving no thought to herself. U. The virtuous woman’s works will speak for themselves, bringing to her the honor of men and rewards of the Lord. A. A virtuous woman will faithfully care for her family and make certain their needs are supplied. B. A virtuous woman will always work for the benefit of her husband’s and family’s reputation and well-being. C. A virtuous woman plays the role of manufacturer for her family. D. A virtuous woman holds the position of purchaser for the family. E. A virtuous woman holds the position of manager/laborer working long hours of labor and oversight. H. A virtuous woman shows she is diligent by making the most of every opportunity to be productive. I. A virtuous woman is humble: performing mundane tasks, setting the example, and instructing others. J. A virtuous woman is sacrificial, kind, charitable to the needy that may cross her path. K. The virtuous woman plans ahead to meet her family’s future needs. L. A virtuous woman can satisfy many of her desires through the use of her talents and abilities. M. A virtuous woman will possess a testimony that brings respect to her husband and family. N. A virtuous woman is faithful to the Lord in her professional calling and possession of a Christ-like testimony. O. A virtuous woman has a Godly testimony that influences others. P. A virtuous woman speaks beneficial words out of a heart of live, respect and a desire to help those in need. T. A virtuous woman will receive honor from men and eternal rewards from the Lord for her works among men. U. The virtuous woman’s works will speak for themselves, bringing her the honor of men and rewards of the Lord. This concludes our study from the book of Proverbs. 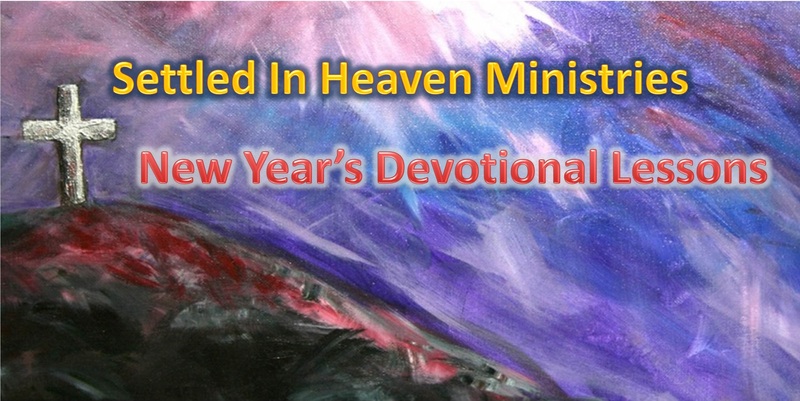 Thank you so much for taking part in our devotional series. May the Lord give us grace to live out these principles in our everyday living. May the Lord bless you. 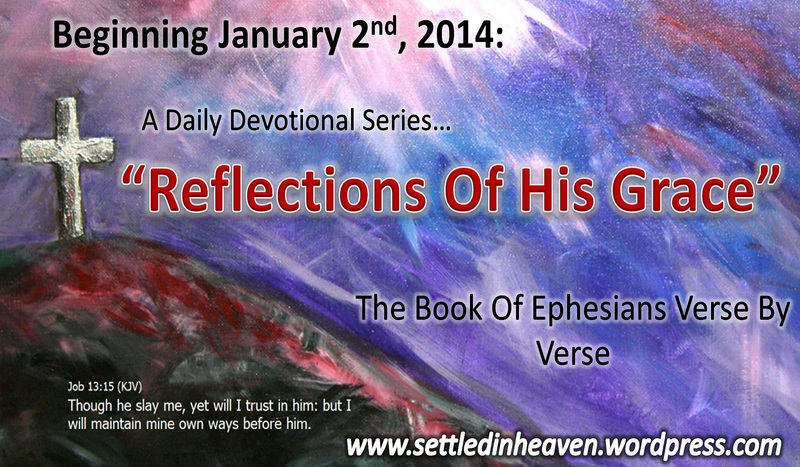 Beginning January 2nd we will be posting devotions from the book of Ephesians with “Reflections of His grace” as the main theme of the devotionals. Jesus Perfectly Served His Father On Our Behalf. Isa 52:13 Behold, my servant shall deal prudently, he shall be exalted and extolled, and be very high.But grow in grace, and in the knowledge of our Lord and Saviour Jesus Christ. To him be glory both now and for ever. Amen. 24) She maketh fine linen, and selleth [it]; and delivereth girdles unto the merchant. 25) Strength and honour [are] her clothing; and she shall rejoice in time to come. 26) She openeth her mouth with wisdom; and in her tongue [is] the law of kindness. 27) She looketh well to the ways of her household, and eateth not the bread of idleness. 28) Her children arise up, and call her blessed; her husband [also], and he praiseth her. EXPOSITION: 24) She maketh fine linen, and selleth [it]; and delivereth girdles unto the merchant. 2. and turns over bindings to the sellers. 4. Bringing in a reasonable profit for the benefit of their family which is their first priority. This example shows us clearly that being a Godly, virtuous woman is not limited to homemakers, but reach into the professional world as well. Keep in mind, in it just like every area of Christian service… different Christians are called to different areas of service for Christ. Some women are called into the field of business to be a Christ-like light in the midst of sin darkened business world. Others are equally as virtuous in the fields of communication, medical, and homemaking…actually the list in unending. The main point is this all CAN BE EQUALLY virtuous based upon their level of faithfulness to God’s calling and the Christ like testimony that they hold in the field to which they are called. But in every case, the virtuous woman’s first responsibility is to her family, meeting their needs and raising their children in the nurture and admonition of the Lord. N. A virtuous woman is faithful to the Lord in her professional calling and her possession of a Christ-like testimony. A virtuous woman’s Godly testimony is a force of great influence among her family, friends and others who have the privilege of knowing her. As they see her successful life of service to the Lord, it brings to her great respect and joy knowing her life is not lived in vain. 2. Her tongue fulfills its responsibility to be kind, merciful and caring to others. 2. She does not make wasting of time and opportunity a part of her life. The virtuous woman is always busy meeting her family’s needs and never finds time to “lean on her shovel” wasting her life and opportunities of service set before her. 3. Her husband joins the children in causing her to shine in the eyes of others through his speech and actions. This is a very important point and a good place to stop our study for today. A truly virtuous woman DESERVES all the praise, honor and respect that can be given to her. Her family is obligated to give her these things. THERE IS ABSOLUTELY NO EXCUSE FOR A FAMILY TO TAKE A VIRTUOUS WOMAN FOR GRANTED, NOR TO DISRESPECT HER IN ANY WAY. This applies to when the family is in public and also in the privacy of their home. A Godly, virtuous woman is of unspeakable value and is to be treated as such at all times. This applies as well to Godly men and Godly children. These are all very rare commodities in today’s society and desire the greatest amount of love and respect from those who are the closest to them. This principle applies to children as well. It is very important for GODLY PARENTS OR GODLY CHILDREN to be given the respect and honor that they deserve. This begins by showing respect to one another in all public and private situations. When a child complains about their Godly parents, or vice versa, in public or private, they are showing them great disrespect. It is a matter of respect, love and loyalty to each other and the Lord. Just a personal note on this… I do count my wife as the most virtuous woman that I know. We both observe an unspoken rule to NEVER speak ill of each other to others. I can honestly say I have never complained, nor “whined” to others about my wife. (She makes this very easy for me to do, since there is nothing I have to complain about). To my knowledge, she has done the same for me as well. I trust her in this and I have been told by others “all she does is say good things about you” confirming my trust. I am only sharing this to say that it is possible to live this way as a habitual lifestyle and, actually, very easy to do when your spouse deserves such respect. Over the years, I have seen the same thing from a variety of Godly couples. This is, normally but not always, those who are older couples who have learned over the years to appreciate their Godly spouses. Similarly I have seen Godly men, Godly women or Godly children whose family did not appreciate them, spoke against them in public, and brought them undeserved shame and embarrassment. In my way of thinking, this is one of the most difficult situations to live under for a Godly person. To have your closest loved ones take you for granted and talk ill of your Godly living is a travesty. It should bring sorrow to the heart of all those who are saved by God’s grace and understand the value of those who live virtuous lives for His glory. The new daily devotional series will be a verse by verse look at Ephesians that will center on the gracious blessings we have received from the Lord. For an encouraging way to start your day please click on the following link for “Reflections Of His Grace”! Why? Because He Is The God Of The Ages! AMAZING! Let’s Prepare Our Hearts For The New Year!! December 29, 2013 8:00 am / 3 Comments on AMAZING! Let’s Prepare Our Hearts For The New Year!! 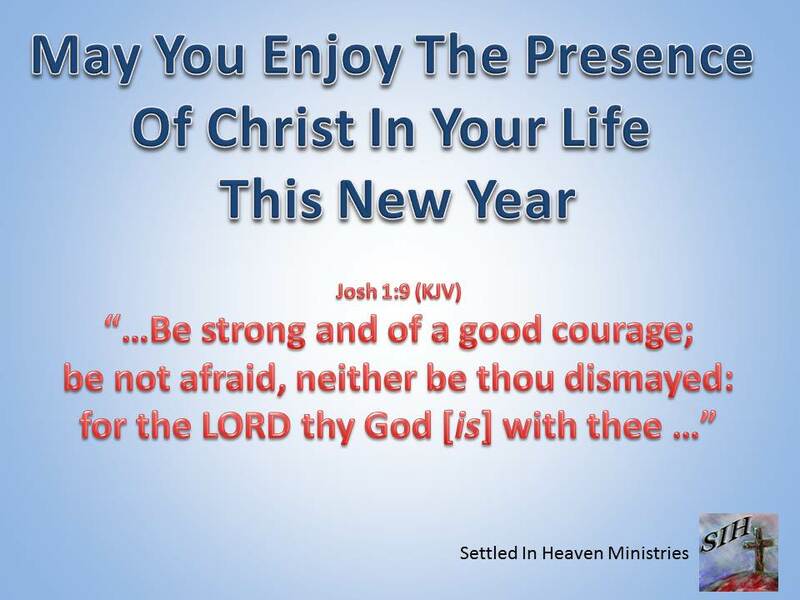 Let’s Be Looking Forward In Faith To Continued Blessings In This Coming New Year! The virtuous woman does not simply give “lip service” to the meeting of her family’s needs, but looks ahead and prepares for her family’s needs before they take place. By doing so, she can make the best possible preparations to meet her family’s needs. She not only meets the needs of others, but she is able to satisfy many of her personal desires as well. A virtuous woman is talented in decorating her home and creating her own fashions. She is able to create that which is pleasing and satisfying to herself. 1. Her labors on her husband’s behalf brings honor to him from those who enter the city. He is respected not only for his personal accomplishments but also for his wisdom in marrying such a woman as this. 2. The honor and respect given to him results in him being given a place among the authority holders of the city. A virtuous woman will enhance the respect and honor that is given to her husband. She will show him to be wise and blessed having a wife such as her. She will possess a testimony that will bring no embarrassment upon her husband or her family, but will only cause them to appreciate her for her faithfulness, support and assistance on their behalf. A virtuous woman will always seek to improve herself by building up her weak areas. She will not be content with mediocrity, but she always seeks to be prepared to accomplish whatever task is set before her. 2. She keeps the candle burning late into the night. She is diligent, using every opportunity to be productive. She shows her diligence through honest self accessment and a hatred of laziness. Because of her merchandise is of high quality and profitable, her candle can burn all night without her running out of oil. In those days the spinning of wool into thread was a very laborious and monotonous task that was commonly performed by the servants of low degree. A virtuous woman is humble doing tasks that many would say are “beneath her”. She is very knowledgeable in all the tasks of the home and is able to set the example and instruct others on how to perform them. I. A virtuous woman is humble: willing to perform mundane tasks, setting the example, and instructing those under her authority. 2. She reaches out an open hand to those needy and destitute. Not only does a virtuous woman give sacrificially for the benefit of her husband and family, she also willingly gives on behalf of those who are hurting (emotionally, physically, financially). She takes the time to notice those who have needs around her. She evaluates their situation and then works to do what is necessary to help them in their time of need. Let Us Be Joyful…. Christ Has Come! December 25, 2013 2:00 pm / 2 Comments on Let Us Be Joyful…. Christ Has Come! Since this time of year has been set aside by the world to remember the birth of Jesus, I thought it would be good for us to take one devotional to study the Godly response to the truths about Christ we have learned in Isaiah 9:6. 1. The news of Christ’s coming to earth was the news of a “good” event. In other words it was beneficial to all mankind. 2. The news of Christ’s coming to earth would result in “great joy” coming into the world. “Great joy” is a Greek phrase that means “to jump for joy”. It speaks of a great joy within that shows itself outwardly by our actions. 1. We are to take time to CONSIDER AND MEDITATE ON THE BENEFITS OF HIS COMING. 2. We are to cultivate within us ATTITUDES OF APPRECIATION AND JOY FOR THOSE BENEFITS. 3. We are to DECLARE THROUGH SPEECH AND ACTIONS THE GREAT APPRECIATION AND JOY WE HOLD IN OUR HEARTS. As the Lord brings into our lives our family members, friends, acquaintances, and strangers, may we declare to them, through our words and actions, the joy of our hearts and the basis for that joy… our wonderful Lord and His work on our behalf! Let’s use today as a perfect opportunity to share the joy of Christ with others who may not be receptive to us during other times of the year! Lord willingly, we will return to our daily devotionals from Proverbs tomorrow morning.